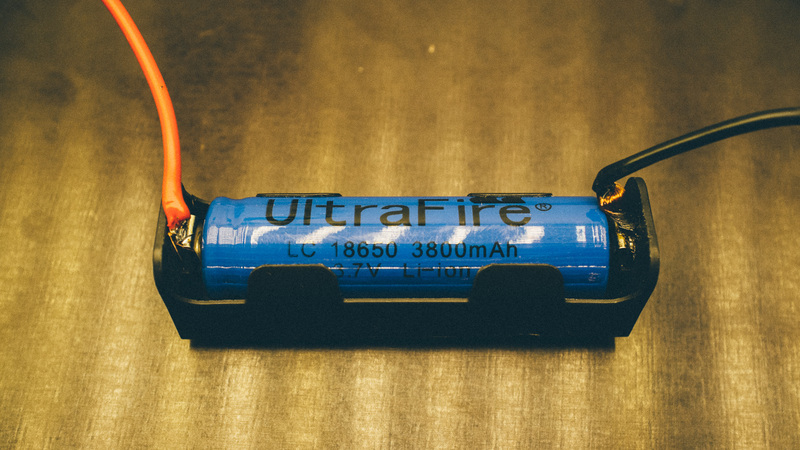 Battery capacity is something everyone encounter on a daily basis, but the common knowledge regarding this rather important topic seems to be a bit low. 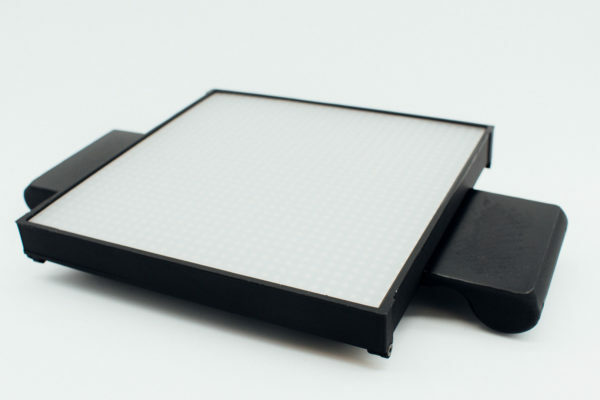 This blog post will hopefully enlighten you about this field, so keep on reading! As you probably know batteries exist in both a lot of different physical dimensions and internal chemistries. This blog post will not go in depth on the different common chemistries, but stay tuned for a follow-up blog post about that! 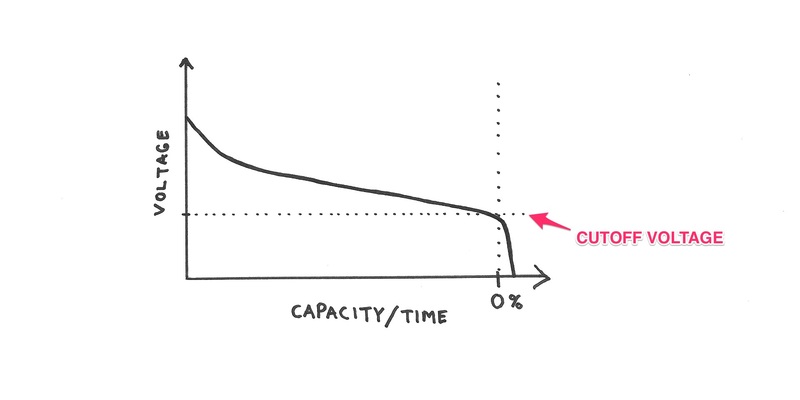 The first big misconception about batteries is that volt equals capacity. 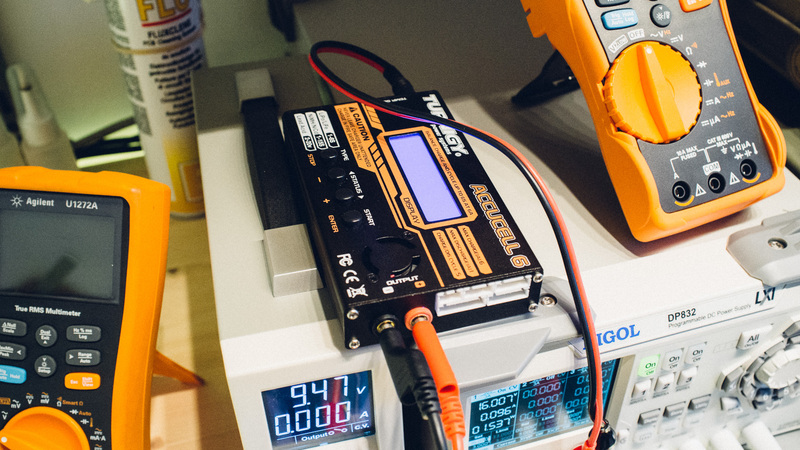 Sure, you can measure your battery with a voltmeter, but that will only give you an insight into the battery voltage at the moment, with the load currently attached. It will NOT say anything about remaining capacity! As this sketch shows there is no linear relationship between voltage and capacity, and this relationship depends on several factors. Some of them are battery chemistry, load, temperature etc. To measure the capacity of a battery is is necessary to measure over a full discharge cycle. We will do a short test of a “low-end” 18650 Li-Ion battery from Ebay and a non-rechargeable AA battery from Ikea. 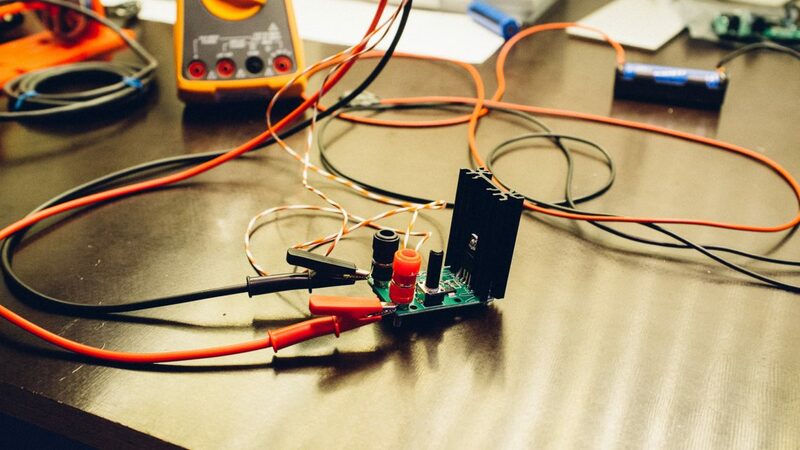 To measure it we need to expose a fully charged battery to a known load and measure the voltage until discharged. We used a Re:load 2 constant-current load to test the batteries. 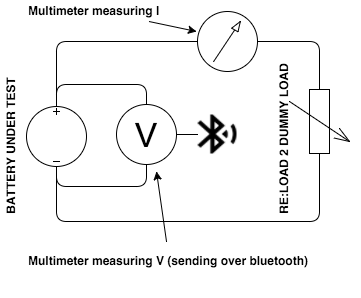 And we used a couple of Agilent multimeters (you will find them here), where one of them measured the battery voltage and transmitted it over bluetooth to a data recording software. 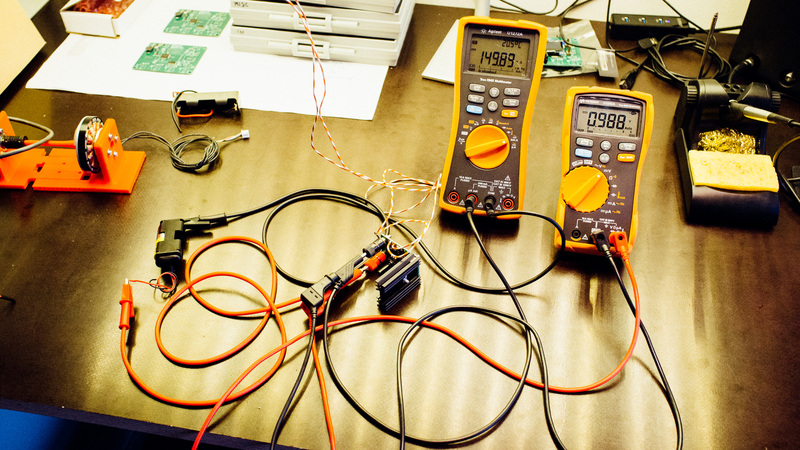 You don’t need to constantly measure the current as long as you have a stable constant-current load. We used it only to setup the load and monitor when the battery did not manage to deliver any more current. This is a “UltraFire” 18650 battery from Ebay. It claims it can deliver 3800 mAh, but we are all in doubt. So let us test it! But first we have to make sure it is fully charged. 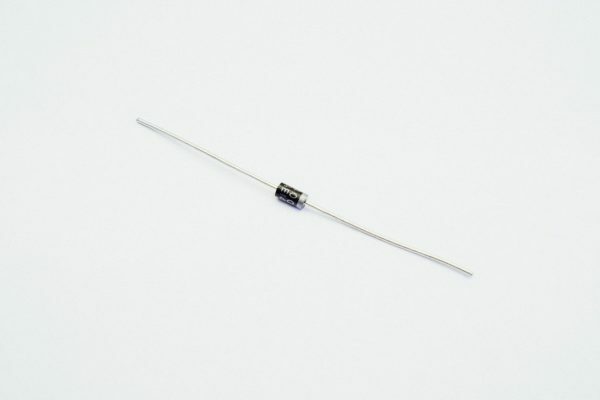 We decided to test it at 0.1 C, resulting in a 400 mA load. This is a rather gentle load. As you can see in this graph it was not even close to 3800 mAh when it was exposed to a 400 mA load. Observations: It started out on 4.2 V, but only after a couple of seconds it fell down to 3 volts. After 75 minutes it took a sharp turn and quickly became totally empty. Next up is a LR6 battery (AA alkaline) from Ikea. This is not rechargeable, and usually non-rechargeable batteries have a higher energy density than rechargeable ones! So we have high expectations to this one! 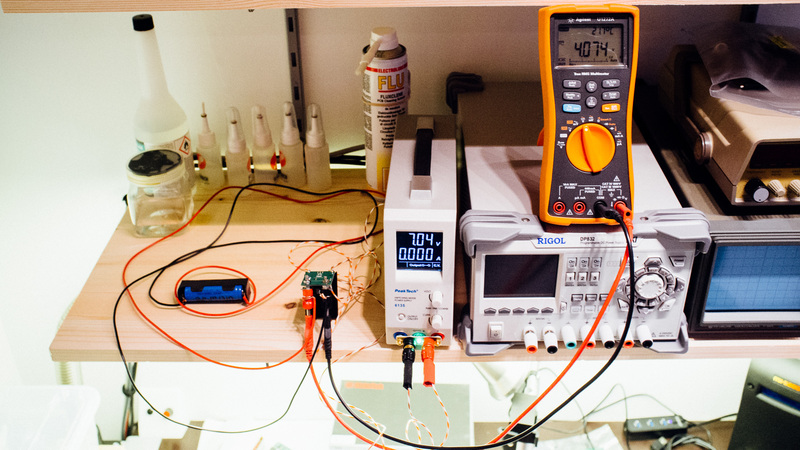 Total capacity is not stated, so we have to guess to set 0.1 C.
We guess around 1500 mAh and set the load to 150 mA. As you can see in the graph we were almost spot on! 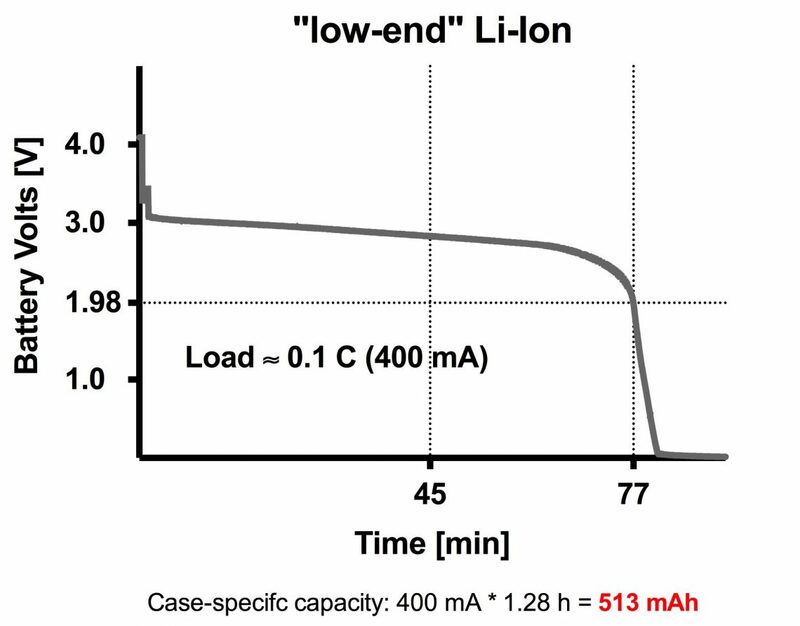 A battery like this has a somewhat different discharge curve than a Li-Ion battery, with a slow declining curve without the sharp downward facing turn. Therefore, to decide when the battery is “empty” we decided to use the common “cutoff”-voltage 0.8 V.
Observations: It started out on 1.6 V, but only after a couple of seconds it fell down to 1.23 volts. 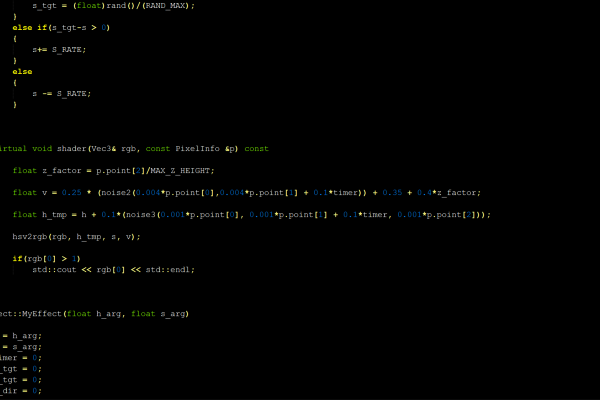 After 10 hours it reached the 0.8 V cutoff and we let it go another hour before stopping the test. 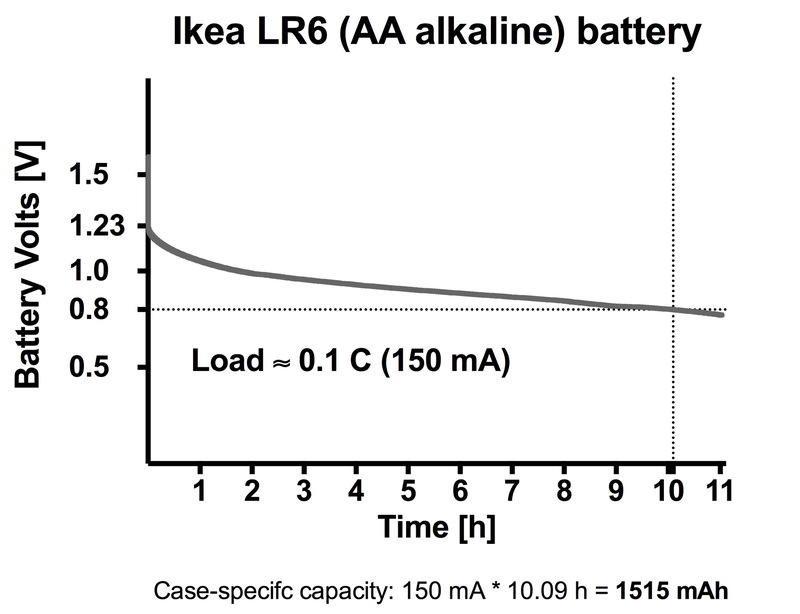 The AA battery from Ikea have a capacity almost 3 times as large as the “Ebay Li-Ion”. In the next “battery”-post we will look into different battery chemistries and look at how they can be charged. So stay tuned!